Whether you are a wholesaler or business owner, we have ultimate solutions for your file storage issues. 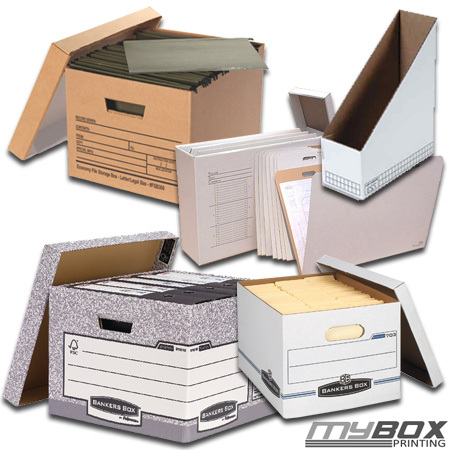 We manufacture filing boxes, corrugated cardboard shelves, document storage boxes and other office file storage boxes. Either you need custom designed office file storage boxes or traditional ones, kindly contact us with sizes, artwork or sample, and we can deliver you any quantity need 50,000 at best market rates. You can now have logos, messages, custom shelving messages, sequencing or other information printed on it. Our letter box, file box, document box, stationary boxes are of best cardboards and plastic available with reduced price. Custom design boxes will now be available to be delivered in less than 15 days. Fill out request a Quote form or contact us for great price, fast shipping and custom file storage boxes inquiry. We recently ordered several different types of stationary, file and office cardboard boxes for our brand. They were are personalized and custom with logo, colours and style. The full colour printing was amazing and cardboard printing quality was good.